A little over a month ago I had the opportunity to travel to Scotland. Throughout our visit we hiked trails, rode trains, toured castles and (of course) looked for Nessie all amidst beautiful and varied landscapes. At times, it felt like we were in another world, a world where fairies and dragons most definitely exist. Now that we are home, I will grudgingly admit that these fantastical creatures (probably) don’t exist. But, I will always be thankful they ARE meant to live in our imaginations and come alive through the telling of fairy tales and the reading of good books. Scotland was a place where their existence felt possible and that is one of many reasons why I hope to return. Until then, I am thankful for books filled with castles and dragons that give us the opportunity to get lost in a good story and visit far-off lands. Today’s list, inspired in part by Scotand, contains books and series where castles come alive, dragons live and peasant girls try to become princesses. A spunky princess and a castle that literally comes alive to help her save the kingdom, what’s not to love? 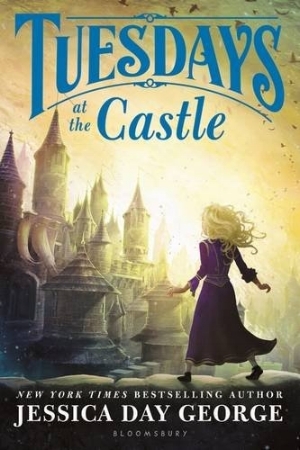 So imaginative and fun to read, Tuesdays at the Castle and the books that follow in the Castle Glower series are adventures sure to delight young readers, and older ones too. If you loved the movie, you will love the books. The stories told are similar, but different enough that you won’t necessarily know how the book ends. Filled with humor, fun and adventure, this series is a good one to sink your teeth into. I’ve heard that the audio books are excellent as well, so if you’d rather dive into the story through the audible version, I don’t think you can go wrong. These books reminded me in style and scope of the Percy Jackson books. If your kids loved Percy Jackson, Fablehaven and Dragonwatch would be great series to try next. Only instead of imagining what it might be like if the Greek god’s and goddesses’ were still a part of our world, these exciting series by Brandon Mull imagine what our world might be like if dragons and fairy tale folk were alive and well. 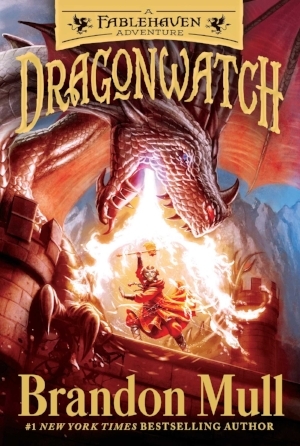 Creative and strongly plot driven, the first Dragonwatch book was a solid read. The second book comes out on October 23. I have not read Mull’s first series, Fablehaven (of which these books are a continuation). I think I would recommend that you do. But, if you choose instead to follow in my foot steps and start with Dragonwatch, Mull gives enough background that you will be just fine. A classic adventure that does not disappoint. The Hobbit is a stand alone novel that precedes the longer and more in-depth Lord of the Rings trilogy by Tolkien. It has a much lighter feel and is a most excellent adventure. 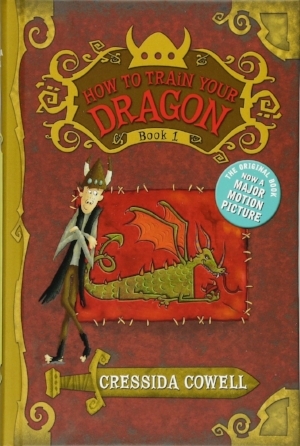 If you have read the picture book biography, John Ronald’s Dragons by Caroline McAlister, you would know that Tolkien initially told the story of Bilbo Baggins to his kids as a bedtime story. And if you haven’t read John Ronald’s Dragons, and love Tolkien’s books, I would highly recommend that you find a copy at your local library or bookstore. It is another picture book biography well worth the read. The king's ministers set up an academy on the mountain, and every teenage girl must attend and learn how to become a princess. Soon Miri finds herself confronted with a harsh academy mistress, bitter competition among the girls, and her own conflicting desires. Winning the contest could give her everything she ever wanted--but it would mean leaving her home and family behind. This is not your average princess book. The story took me by surprise in the best way. The title was not appealing to me, but my daughter liked it so I thought I’d give it a try and I was really glad I did. This book is the first in a series of three. Strong female characters and surprising twists make this book a winner. The word itself conjures up mystery, romance, intrigue, and grandeur. What could be more perfect for an author/illustrator who has continually stripped away the mystique of architectural structures that have long fascinated modern man? 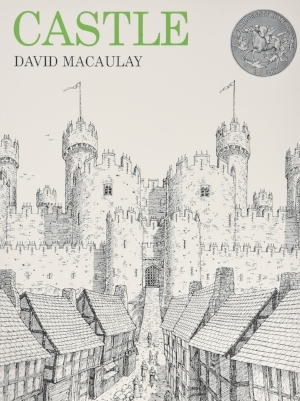 With typical zest and wry sense of humor punctuating his drawings, David Macaulay traces the step-by-step planning and construction of both castle and town. One final pick for the more literal reader who wants to know the how and the why instead of or alongside a story. David Macaulay’s books are a treasure trove of knowledge along with amazingly detailed illustrations. His books are perfect for kids who want to know how things work, how they were built and/or how they came to be.